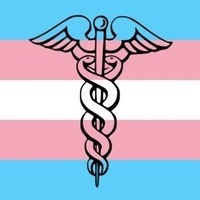 At this event, medical providers from Kenyon and the surrounding community will learn more about trans-inclusive care and health concerns for transgender and non-binary populations. Additionally, this training will be led by Equitas Health from Columbus, OH. For persons interested in this event, please note that we have limited seating, as there is a maximum number of providers allowed in this training session. Any providers who are interested in attending should confirm with either the Office of Diversity, Equity, and Inclusion or the Cox Health and Counseling Center beforehand.